The state Board of Education would create a statewide system for collecting data on school disciplinary measures and student interactions with law enforcement under a bill heard by the Education Committee Feb. 6. 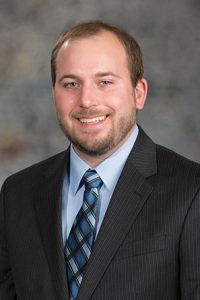 Lincoln Sen. Matt Hansen, sponsor of LB1056, said the data would contain the number of students who were suspended, expelled, referred to law enforcement and ticketed or arrested while attending a school-sponsored activity or event. Additionally, the board would collect data on the use of physical restraints in schools and whether a sworn law enforcement officer is assigned to the school. School districts would be required to provide the board with individual student data that could be organized by race or ethnicity, gender, grade level and whether the student has a disability. Hansen said Nebraska does not collect consistent data on school disciplinary actions and student interactions with law enforcement. Those interactions have become more likely since the late 1990s and early 2000s, when many schools responded to safety concerns by hiring school resource officers and security guards, he said. Such interactions are important to study because they often are a youth’s first point of contact with the state’s criminal justice system. “Unfortunately, with increased law enforcement presence at schools, there are many opportunities for students to enter the justice system for behaviors which in previous eras would not be considered criminal,” Hansen said. Juliet Summers, policy coordinator at Voices for Children, testified in support of the bill. Both students and schools suffer when schools respond to misbehavior with excessive exclusionary policies such as out-of-school suspensions, expulsions or referrals to law enforcement, she said. For the student, suspension can lead to further suspension, expulsion, decreased academic performance and court involvement, and schools with a higher reliance on exclusion have lower overall academic performance. “We support this bill because we believe it is a measured first step in examining our schools’ disciplinary policies and whether we are pulling students in to educational success or pushing them out to the streets for the court system,” Summers said. Brad Meurrens, public policy director for Disability Rights Nebraska, also testified in support of the bill. According to the Civil Rights Data Collection, Meurrens said, schools restrain and exclude students with disabilities at a higher rate than their peers. During the 2013-14 school year, students with disabilities made up 12 percent of the students enrolled in public schools nationally but made up 67 percent of students subjected to restraint or exclusion. Students with disabilities comprised 25 percent of students arrested or referred to law enforcement, he said. “Data collection is necessary to understand the scope of these practices, the underlying causes leading to their use and ultimately the mechanisms by which these practices can be reduced or alleviated,” Meurrens said.